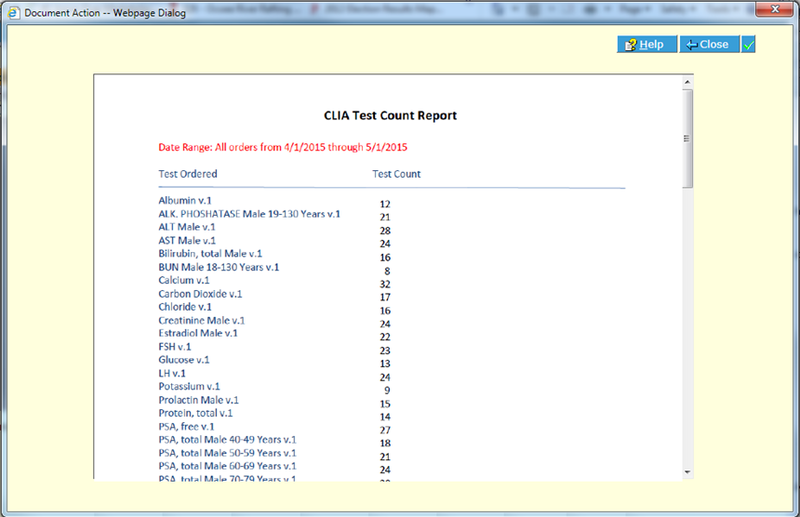 The Reports and Labels menu item in your HealthCloud Physician Office LIS is a convenient tool for generating your CLIA and Daily Billing reports, and also ad hoc accession labels. IMPORTANT: the Reports and Labels menu item is NOT for issuing Results Reports. It does not archive nor version. It is for internal reports only. For Results Reports, use Report Review/Approval. Navigate to the Reports and Labels menu item, where the list of reports available is displayed. Internal reports and labels may be generated and printed/saved at any time. NOTE: Labels may also be generated from within the Order screen, using the Reports button. This is usually preferable, because the Order Number is then pre-selected for the report.